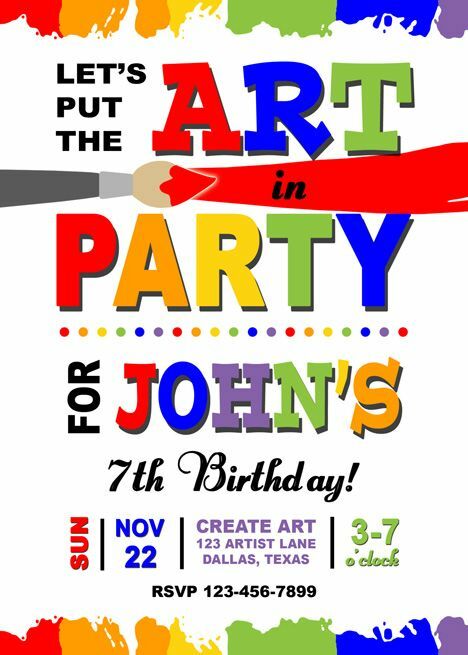 Most children love to create art and I have been wanting to make an invitation for a paint / art party for a while now and finally was able to work on one for a client request. If you are interested in this invitation or need a custom invite for your next event contact Paper Perfection at jtanddolly@yahoo.com for pricing and details. Now I just need to create matching party printables.